Key differences in the botany of the Coffee species are explored and how this leads to differences in growing location and farming systems by plant type. Variations in farming practice found in producing countries including shading methods, fertilization and pest management will also be covered. An explanation of differences in processing techniques for the production of speciality quality coffee is given along with insight into how these techniques change the cup profile of coffee. This will start with an overview of the different types of defect that may occur in green coffee and the likely causes of them. You will then learn how to physically examine green coffee samples, identify physical defects, and use key equipment needed for effective quality assessment of green coffee. Central to many green coffee jobs is the planning and management of green coffee stocks. At an intermediate level, basic market principles that are involved in pricing changes of all coffee sectors are explored. In addition to the structure of markets, this module also shows you how to create green coffee contracts with suppliers and customers. Navigating the supply chain is introduced at the intermediate level and you will look at how to apply your knowledge of seasonality in coffee cropping, along with shipping and storage knowledge to stock holding patterns. Quality differences as a result of supply chain variations, basic legislative needs to 21 purchasing and an understanding of different certification schemes in the world of coffee complete the intermediate level. Learners who have not previously completed SCA Green Coffee - Foundation will need to demonstrate knowledge of green coffee basics in order to enrol for this Intermediate course. We require a minimum number of 4 learners to run each class. If the number of sign-ups does not meet this requirement, learners will be notified and have their class rescheduled to the next available date. Korean born, internationally raised, Sam is an educator who has fallen in love with coffee and the coffee industry. 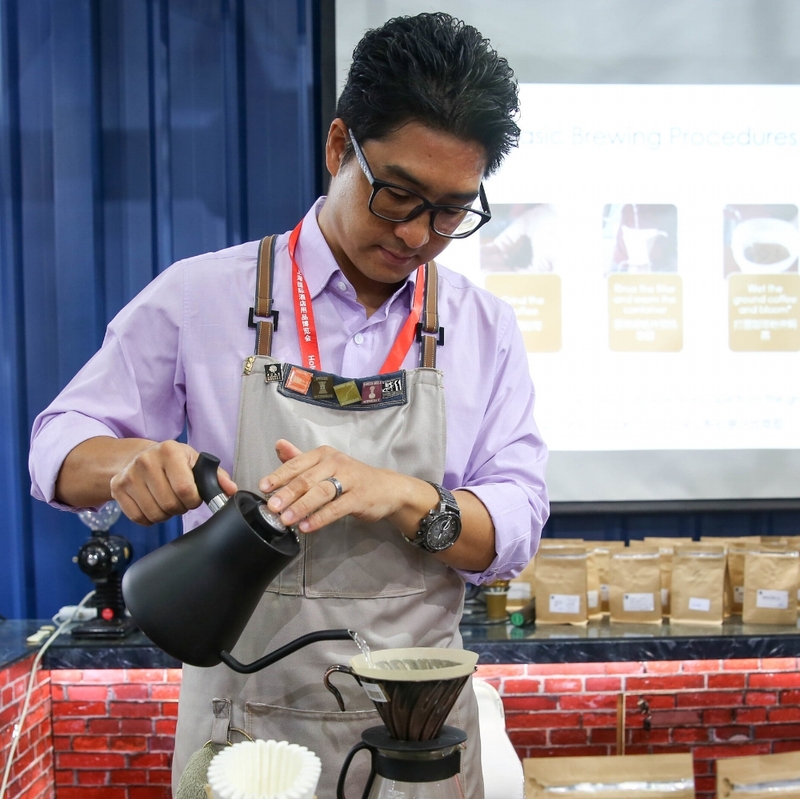 His passion for the coffee industry started while working with farmers in Northern Thailand. His curiosity and zeal lead him down the whole coffee chain allowing him the opportunity to work in every area of the coffee industry from green coffee buyer to cafe barista/manager. He also works in the green coffee trading business and regularly visits coffee origins in different parts of the world. But most importantly, Sam has combined his two passions of education and coffee and enjoys being an instructor. He hopes to see education change and develop the coffee industry from seed to cup.